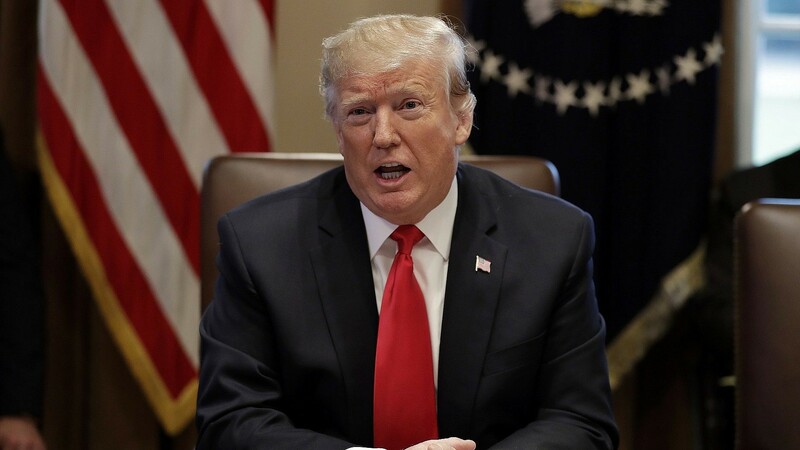 WASHINGTON — US President Donald Trump on Wednesday gave Iran free rein to further entrench itself in Syria, but claimed that Tehran was no longer seeking to bolster its presence in the beleaguered country. “They can do what they want there, frankly,” he told reporters, referring to Iranian forces. Trump’s comments came two weeks after he rattled Jerusalem by announcing that he would pull all American troops out of Syria. 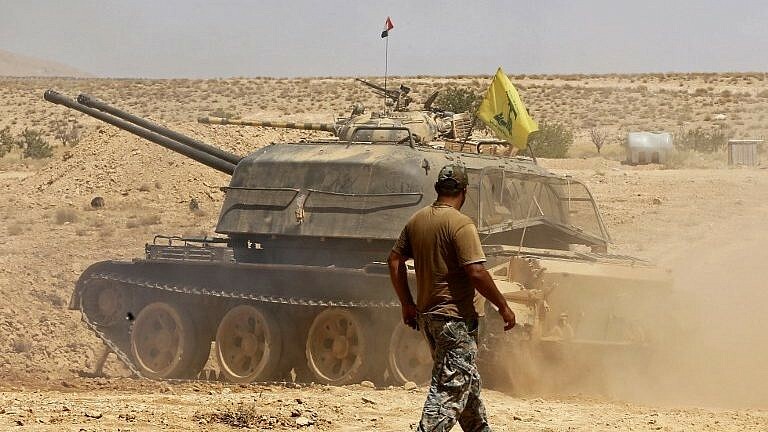 US soldiers had been leading the coalition against the Islamic State terror group, while also helping to thwart a permanent Iranian infrastructure in the war-torn country. Yet Trump, on Wednesday, said that Tehran, like the US, was withdrawing its forces from Syria. The president went on to say that in pulling out of the nuclear deal with Iran last year, Washington had changed Tehran’s calculus and stymied its efforts to destabilize, and spread its influence throughout, the region. 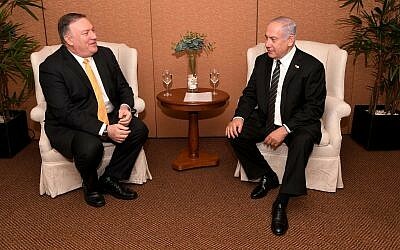 The president’s announcement of the Syrian withdrawal was the first significant point of contention between Washington and Jerusalem since he took office — Prime Minister Benjamin Netanyahu reportedly pleaded with him to rethink the decision — and has fortified the perception that he views the US relationship with Israel as transactional. 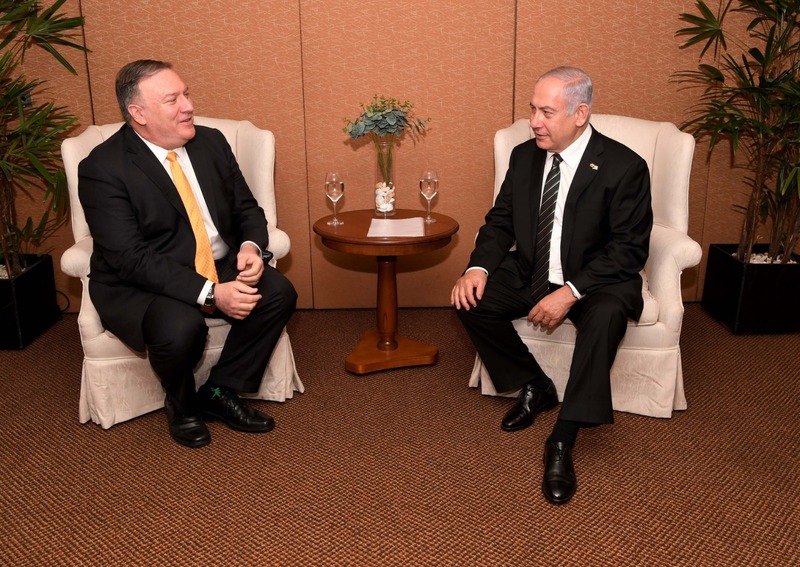 Trump said last week that he did not think America’s removing its troops from Syria would endanger Israel by strengthening Tehran’s hand in one of the Jewish state’s immediate neighbors to the north. Trump blamed Syria’s instability on the policies of his predecessor, Barack Obama, who didn’t attack Assad after he crossed the former US president’s “red line” of using chemical weapons on his own people. This entry was posted on January 3, 2019 at 9:27 AM and is filed under Uncategorized. You can subscribe via RSS 2.0 feed to this post's comments. You can skip to the end and leave a response. Pinging is currently not allowed.